We’re just a few short weeks and many degrees from spring, but we are ready for a green welcome! And when that change hits, we want to be armed with the right decor. Here are this week’s Items We Adore: Product Picks for Spring Decor. 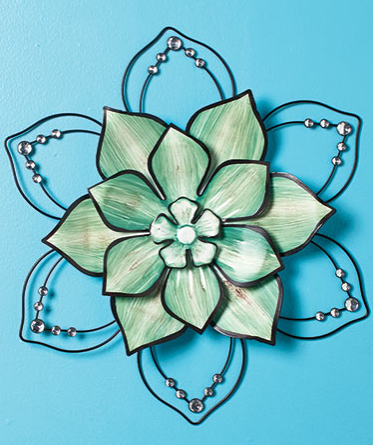 Add visual interest to any room with this beautiful Jeweled Flower Wall Art. This large, 3-D wall sculpture is constructed of shaped metal petals and acrylic gems. The open design lets the background wall color show through. You can also hang it outdoors on a covered porch or patio. Sunflower, 16-5/8″ dia. Chrysanthemum, 17-1/4″ dia. Magnolia, 19″ dia. Assembly required; assembly hardware included. Hook on back for hanging. Freshen up your home decor with this Inspirational Word Sculpture. The word is spelled out in block letters detailed with stitch lines, vines and 3-D birds. 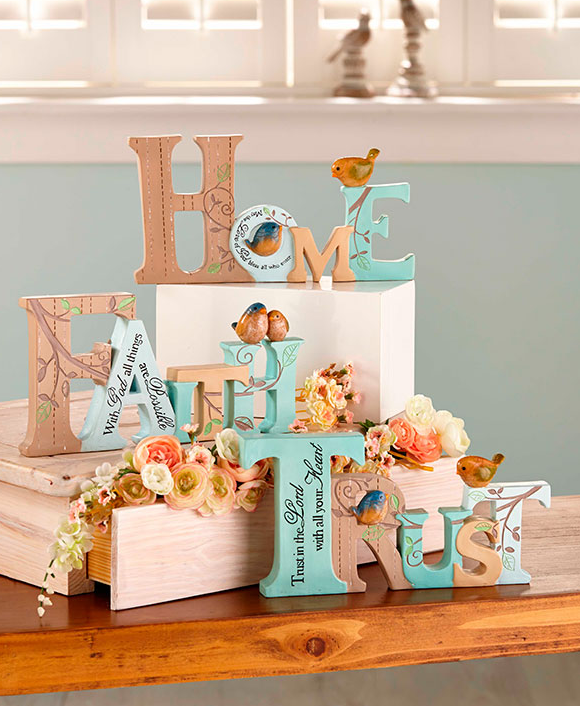 A coordinating sentiment is inscribed on one of the letters to bring an uplifting element to your decor. Looks great on a table, shelf or mantel. Approx. 9-3/4″W x 5″H. Cold cast ceramic. 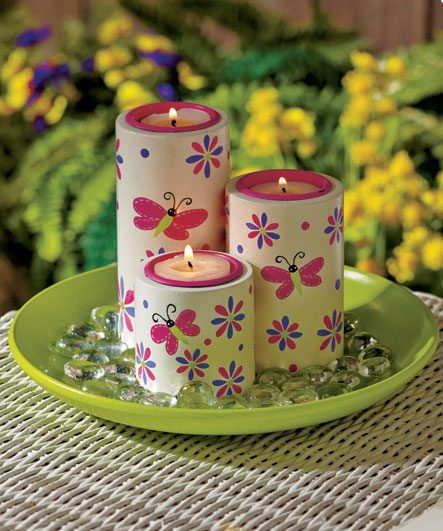 Create a colorful focal point or centerpiece with a Tea Light Candle Garden Set. It comes with 3 spring-inspired candleholders, a coordinating tray and accent stones. Add your own tea lights to the graduated pillars to complete the look. Wooden, glass and metal. Fill your home with bright flowers year ’round with this Set of 3 Burlap Wildflower Stems. This faux floral set decorates any room with classic country style. 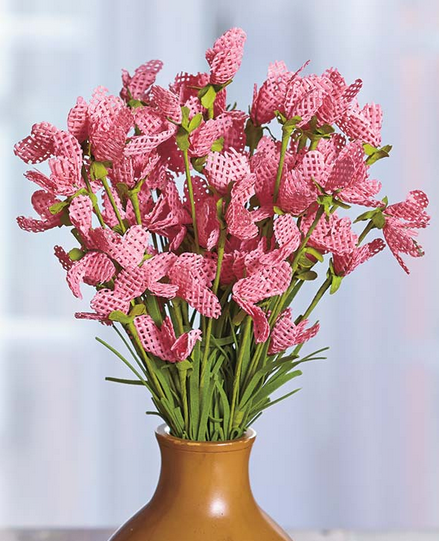 Each wire stem is bendable, letting you create a natural looking arrangement. You get 3 stems, which are 4-1/2″ dia. x 34″H, each. Metal. The 3-Pc. 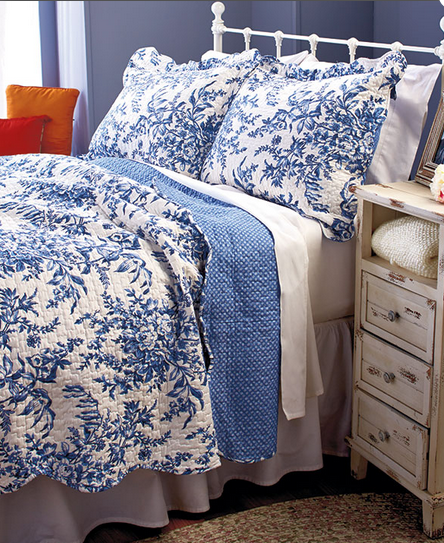 Quilt & Sham Set adds a fresh layer of comfort to your bedroom. Each piece features elegant scalloped edges, a patchwork or floral print on one side and a coordinating pattern on the reverse side. King set includes king-sized shams. Full/Queen quilt, 86″ sq. King quilt, 102″W x 86″L. Polyester shell and fill. Machine care. Imported.